Former Maryland standout C. Thomas McMillen has been selected to lead the Division 1A Athletic Directors’ Association. The association, is a not-for-profit membership organization comprised of the directors of athletics at the 126 NCAA Division 1A institutions. McMillen will be a key component in the restructured organization, which will move its headquarters from Dallas to Washington, D.C. He is expected to help member athletics directors better navigate the rapidly changing landscape of college athletics as the association expands increases advocacy, lobbying, business analytics and professional training. McMillen replaces Dutch Baughman, the 1A Association’s longtime executive director and previously the director of athletics at Oregon State, Virginia Tech, and Furman and also an associate commissioner of the former Southwest Conference. McMillen was a founding member of the Knight Commission on Intercollegiate Athletics, and a regent in the University of Maryland System. 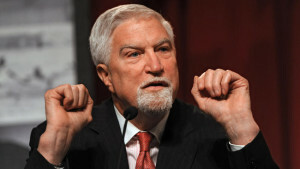 McMillen currently is chairman and CEO of the investment firm Washington Capital Advisors. He serves as a director of RCS Capital, a full-service investment firm, and of Nexstar Broadcasting Group, a media and broadcast company. He was chairman and is is now treasurer of the National Foundation on Fitness, Sports and Nutrition. He was the United States Representative for Maryland’s 4th Congressional District for three terms.